FEATURE Button-shaped big eyes, electric embroidery nose and mouth, the facial features are vivid and lovely. The large bow is decorated with white hair, highlighting the gentleman of the bear. 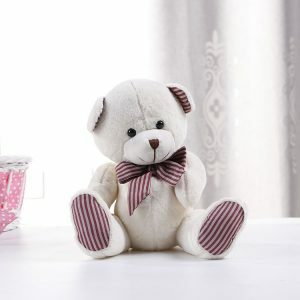 The cute expression is matched with the gentleman’s dress and has a unique design. 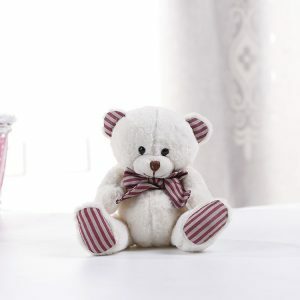 The bear is filled with PP cotton, which is full and full, making the bear look more lively and lovely.